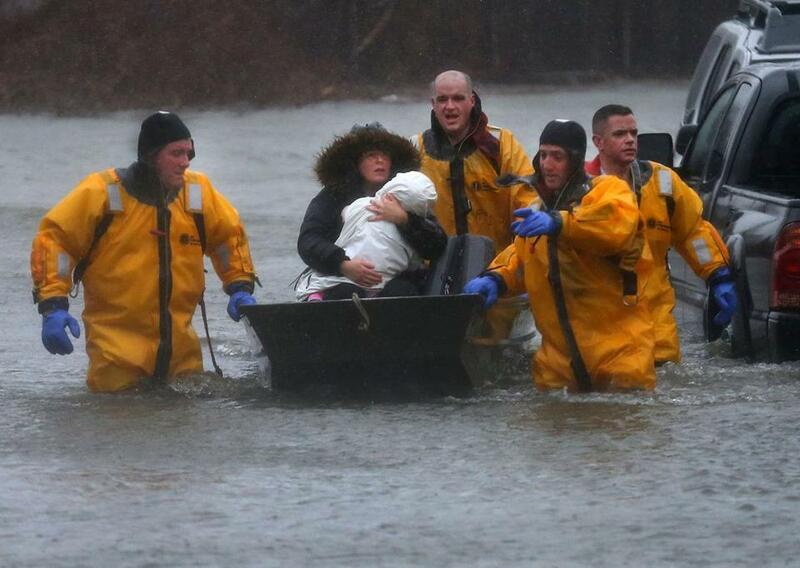 A mother and child are rescued by a boat from their home in Quincy on March 2. THE THREAT OF climate change feels distant — until it doesn’t. A pair of powerful storms, one in January and another this month, provided an alarming preview of what’s to come: a woman clutching her child in the floodwaters in Quincy, tens of thousands going without power for days, and the future site of General Electric’s downtown Boston headquarters inundated with water. State and local officials have done an admirable job analyzing the long-term risks. And in Boston, a couple of pilot projects are in the works: one that will raise a portion of Main Street in Charlestown and another that will create a flood wall that can be rapidly deployed to protect a part of East Boston. But the recent storms have made it clear that we need more urgency. More resources. And we’ve got to be smart about how we deploy them. Below, some guiding principles — and some specific recommendations — for a region coming face-to-face with its epochal challenge. Think big. 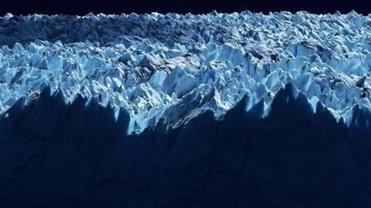 Much of the climate change planning in the region anticipates sea level rise of up to three feet by the end of the century. And that could be handled without offending community sensibilities or riling up property owners too much, says Paul Kirshen, professor of climate adaptation at the University of Massachusetts Boston: Relatively small, unobtrusive barriers and attractive green spaces would be enough to block and soak up the water. But if greenhouse gas emissions remain at current levels, he warns, sea level rise could top 7 feet. That means bigger structures at bigger cost, with more blocked sight lines. It also means giving up on shoreline development in some cases. This is a much more difficult conversation, but an essential one. Despite a few positive developments, too much damage has already been done. Think heat. The dramatic flooding of the last few months has focused public attention on the dangers of rushing water. But experts say our primary challenge may be hotter temperatures. Between 1971 and 2011, the thermometer topped 90 degrees in Boston for about 11 days per year. By 2070, there could be as many as 90 days of 90-plus degree temperatures per annum. That’s virtually the entire summer. That kind of heat would pose significant public health threats. And with the temperatures expected to be even worse to the south, places like Massachusetts could see significant migration — straining our transportation networks and exacerbating our housing crisis. Go macro. There is periodic talk in Massachusetts of building stronger regional governance structures to deal with problems like transportation and housing. It never seems to go anywhere. Climate change poses an existential threat, though, and a regional approach is a must. Lawmakers should seriously consider creating regional resiliency authorities with real power — read: taxing power — so they can orchestrate a smart defense. Go micro. Climate change means more power outages, which can be deeply disruptive and, in some cases, fatal. One way to minimize their impact is to create “microgrids” that can keep the power on in a given neighborhood — or at a given school or community center in that neighborhood — during a broader power failure. The city and state of New York have made strides on microgrids in the wake of Hurricane Sandy. Boston environmental officials have analyzed the idea. Now, the city needs to fund action. Take advantage of the natural building cycle. We’re constantly erecting new buildings and upgrading infrastructure. State and local government must demand, more urgently, that planners and developers incorporate climate resiliency into these ongoing projects. That can mean building taller first floors in waterfront developments to mitigate the effects of flooding, or attaching more landscaping to inland housing — beautifying the neighborhood and capturing rainwater from our increasingly intense storms. Some developers are doing this work voluntarily. But officials need to mandate it, with changes to the state building code and local zoning regulations. Be skeptical of the big fix. One of the splashiest ideas for protecting metro Boston is to erect an enormous multibillion dollar sea barrier across the mouth of the harbor — with gates swung open most of the time, and closed during major storms. A UMass Boston study on the idea is expected in April. But experts at UMass and beyond are already voicing skepticism — and policy makers should be skeptical, too. The enormous cost might foreclose other defenses, which could prove catastrophic if the gates fail to close during a storm. And a barrier would come with few ancillary benefits, while smart, land-based defenses — parks that can turn into ponds during storms, for instance — offer plenty. Also, a three-foot barrier in, say, South Boston is much easier to adapt — to build higher, for instance — than an enormous wall in the ocean. Get serious about money. Even without a sea barrier, the cost of defending the region from the effects of climate change is significant. And we need to get serious about revenue. A carbon tax or gas tax is a possibility. Officials could also squeeze money out of an existing, regional cap-and-trade system for polluters. David Levy, a professor of management at UMass Boston, says the key is spreading out the cost — among state taxpayers, local taxpayers, and businesses. One idea: Establish resilience districts, patterned after the business improvement districts that collect fees from neighborhood businesses and use the proceeds to clean up graffiti and market the area. Call them district resilience initiatives, or DRIs, bent on keeping the area dry. We’ve been warned. Boston must prepare for an Irma-size storm.